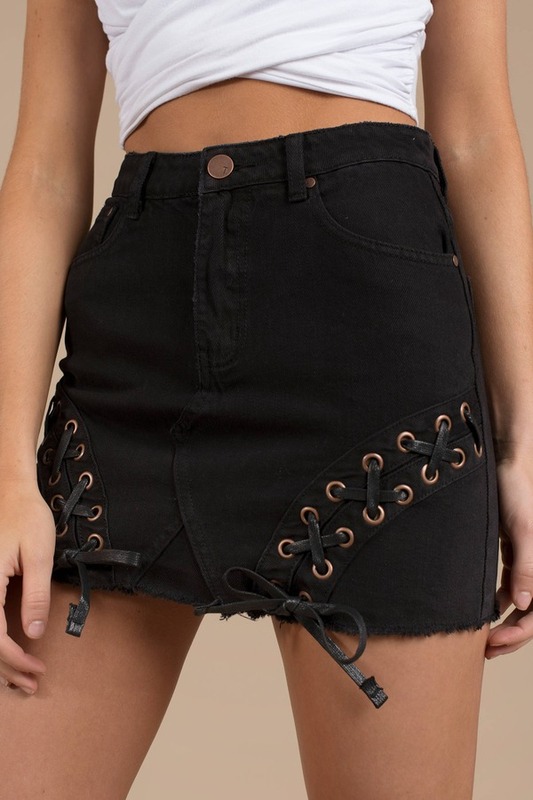 Check out Tobi's Western Avenue Lace Up Bodycon Skirt Get your boots ready for the Western Avenue Lace Up Black Bodycon Skirt designed by Tobi! Featuring a cute lace up detail with a five pocket cut and frayed hem on a structured denim weave. Get your boots ready for the Western Avenue Lace Up Black Bodycon Skirt designed by Tobi! Featuring a cute lace up detail with a five pocket cut and frayed hem on a structured denim weave. Black modeled on a size 25.